I'm really excited to share these small, but impactful creations with you! If you have seen my recent posts, then you know I was hosting a baby shower for an absolutely wonderful couple and great friend. During my party planning brainstorm for party favors, I was hoping to accomplish a few things: 1- not break the bank getting favors for approximately 50 people, 2- give the guests an item they wouldn't immediately pitch in the trash (be honest, we've all been there), and 3- make it homemade. 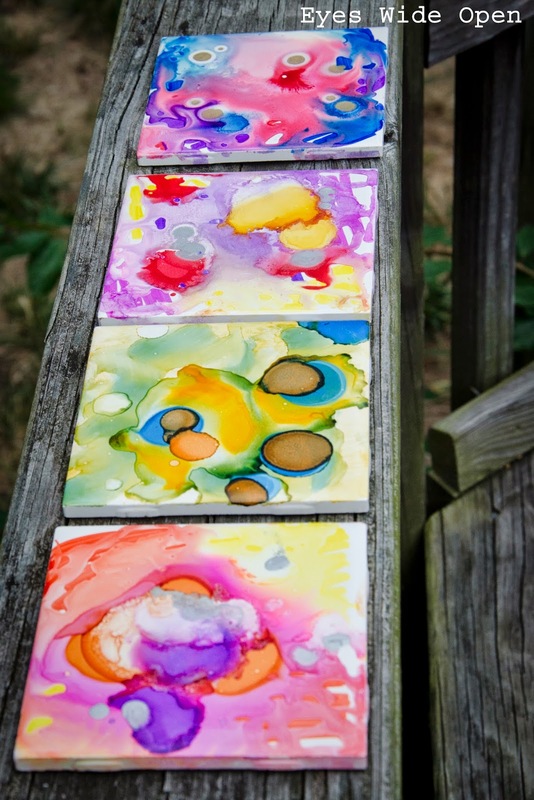 Enter AWESOME ALCOHOL INK COASTERS! Here are some of the finished products.